"All Comedy 1450" was heard on January 9 with a fair signal. Thanks OJS for alerting me. Another one from the good opening to Kongsfjord on January 15. Heard during a good east coast opening in Kongsfjord. Heard with very good signal strength on January 5, which turned out to be a very good morning for east coast NA. Sister station WDER also heard with excellent signals. Thanks for v/s info KM. Heard during their DX test on Jan 10. 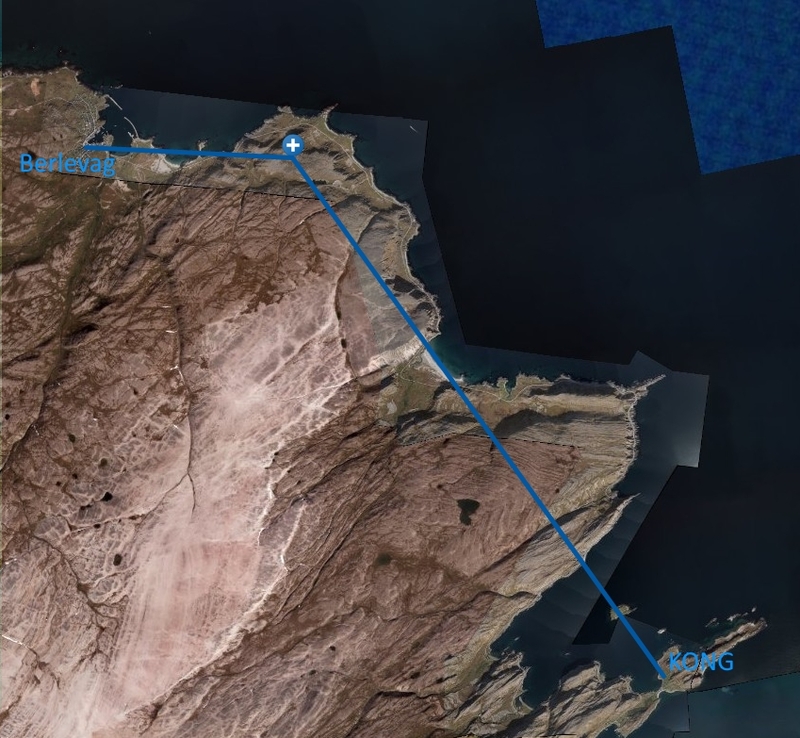 Although 35 kW, their pattern was pointing mostly away from us and conditions were poor. We were able to hear sweep tones a brief moment. Logged in Smøla, distance 7024 km/4365 miles. Facebook response from a January, 2015 reception. 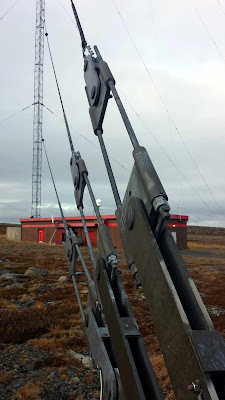 On December 31, 2015 at 11:00 UTC the Norwegian Loran C stations closed down transmissions. Below is a brief history of the Loran C system, the Berlevag station and what impact this station had on MW DX-ing in my area. The following is an extract from Wikipedia articles. Loran-C is a hyperbolic radio navigation system which allows a receiver to determine its position by listening to low frequency radio signals transmitted by fixed land-based radio beacons. The Loran system, beginning with LORAN, was inspired by the British GEE system, which entered service with the RAF Bomber Command in 1942. At the time it was designed for aircraft navigation, at a much higher frequency than today's 100 kHz. In 1958 the US Coast Guard adopted the system and over the years the system went from Loran-A to Loran-B to the current Loran-C.
Norway operated four Loran C stations; Berlevag and Bo i Vesterålen (Northern Norway), Stadt on the Norwegian west coast, and Jan Mayen, one of Norway's Arctic islands northeast of Iceland. In 2009 the US Coast Guard announced that Loran-C was no longer needed for maritime navigation. US Loran-C stations were decomissioned in February 2010. The European Union had a different approach as one saw the potential of combining GPS, Gallileo and nine of the Loran-C stations into a single, integrated system (the Eurofix system). However, Norway and France decided not to go along with this, and as a result, all four Loran-C stations in Norway closed on January 1. 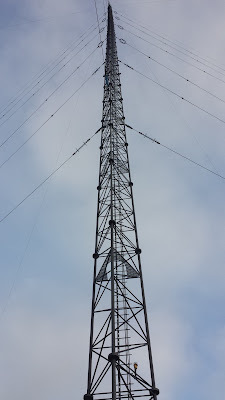 The transmitter and guyed tower is located 4 km east of the town of Berlevag, and 14 km northwest of my DX location in Kongsfjord. 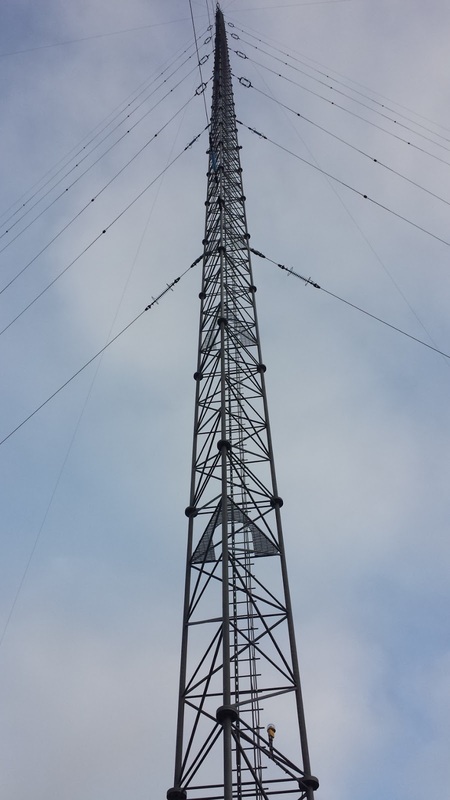 The power output was 250 kW on 100 kHz. It's placed on rocky soil, with a comprehensive ground radial system, comprising 180 radials with an average length of 250 meters. It had a diesel-fed generator for backup, and even a battery system enabling 45 minutes of operation. It was put into service in 1995, just as I was recovering from a rather long DX hiatus. I had purchased a JRC NRD-515 at the time, and the noise was horrendous. I could hear absolutely nothing on MW. I turned to long-time DX-er Stefan Wikander in Sweden (who had modified the NRD-515 for me), and asked what to do. "I'll make you a notch filter" he replied. The device centered on 100 kHz with 75 dB attenuation, and all of a sudden a large part of the MW band was DX-able again, albeit with lots of ticking noise on several frequencies especially below 1100 kHz. Many years later, Dallas Lankford from Ruston, LA refined the design with an additional 200 kHz notch filter combined with a high-pass filter, so the total attenuation on 100 kHz increased to 85 dB. Strangely enough there was no audible effect from the change. Anyway, these filters have been a vital part of every beverage antenna I have put up since. Generally speaking, the longer the antenna the more inferference from the Loran-C. The direction is critical too - my two North America beverages are pointing more or less at the Loran-C tower and are a lot more susceptible to the noise than my Asia/Pacific beverage which is almost perpendicular to the transmitter. I had my SDRs running at the time of the shutdown. Unfortunately conditions were downright awful at the time, but I did have two of my most common Alaska stations audible at the time (albeit with low signal levels), incidentally also on two of the most noisy frequencies.